(You must have a valid learner permit). 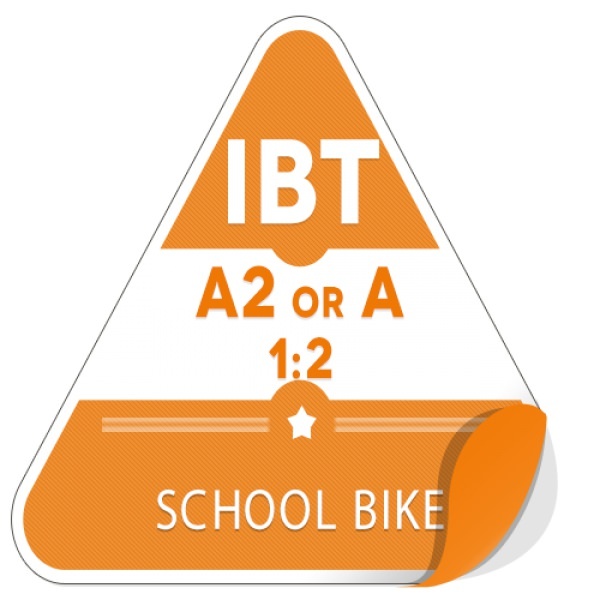 IBT course for category 'A2' or 'A' one to one training on a school bike. IBT course for category 'AM' or 'A1' one to two training on a school bike. IBT Course for category 'AM' or 'A1' one to one training on a school bike.